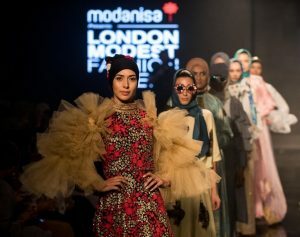 Sponsored and organised by ready-to-wear fashion portal Modanisa.com, Istanbul Modest Fashion Week (IMFW) will run from 18 to 20 April 2019. The seminal event took place in Turkey’s cultural capital in May 2016, bridging continents to create a global platform where designers, brands, influencers and consumers were able to converge to see the latest trends and share industry insights. After its Istanbul debut, the trailblazing concept has travelled to multiple international destinations, including London (2017), Dubai (2017), and Jakarta (2018). Modest Fashion Week returns to its “home city” this spring. The event will feature three days of catwalks, as well as talk shows with industry figures and inspirational international personalities, plus pop-up booths from leading Turkish and international modest fashion brands, making Modanisa Istanbul Modest Fashion Week the perfect place for trend spotting, networking and retail therapy. Modanisa brand manager Havva Kahraman said,“We are thrilled to be bringing Modest Fashion Week back to its birthplace of Istanbul. The first event in 2016 not only set the standard for future international ‘modestfashionweeks’, it also inspired many more people to enter this dynamic and fast-growing sector. Turkey is the Muslim world’s biggest fashion market and the bridge between East and West, making IMFW the ideal location to see the latest global modest trends, and for designers to unveil their 2019 Ramadan collections. It’s an event not to be missed by anyone serious about modest fashion,” she added.